Not only is ModCloth one of my personal favourite shopping destinations, it also happens to be a pretty nifty place to go gift shopping as well. Case in point? While picking up a couple of items for myself the other day, I took a quick spin through their gift guide and immediately found a few awesome ideas for some folks on my list. Today, I’m pleased to do the same for you, by picking out some of my fave ideas from their rather expansive collection, and suggesting what they might be perfect for. Who says men can’t dig candles? 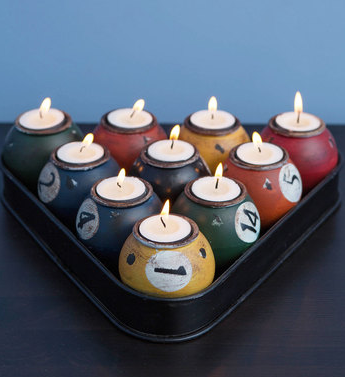 This pool-inspired set of tea light holders is a funky accoutrement to any guy’s games’ room / office / man cave, etc. Make sure to pair it with a pack of not-too-feminine candles! The perfect size to stash all of your essentials, the perfect colour to go with anything in your wardrobe, and the perfect style that’s somehow both modern and timeless – all in one perfect bag. Comes in six sensational shades. 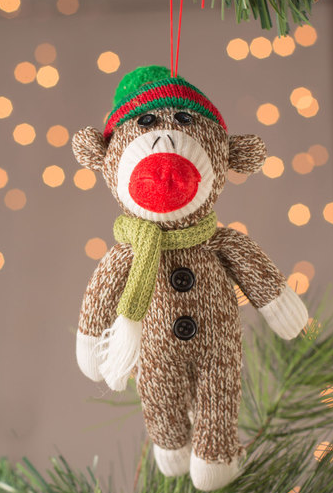 I’m pretty sure every year, the sock monkey finds a way to be featured on this blog around the holidays. This adorable ornament features this ubiquitous holiday toy dressed up in his warmest winter gear, for a cute stocking stuffer or Secret Santa pick. 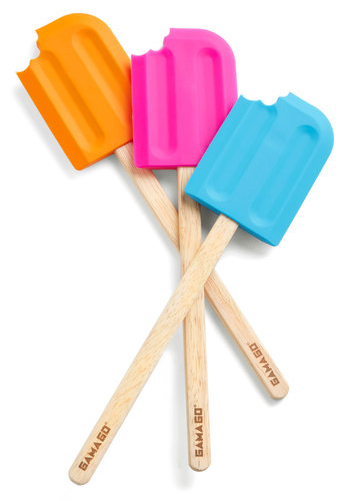 If they love to cook, they’ll love this quirky and colourful spatula designed to look like a yummy ice pop. Made from silicon and wood, this sturdy gadget is available in three zippy shades for a perfect stocking stuffer surprise. 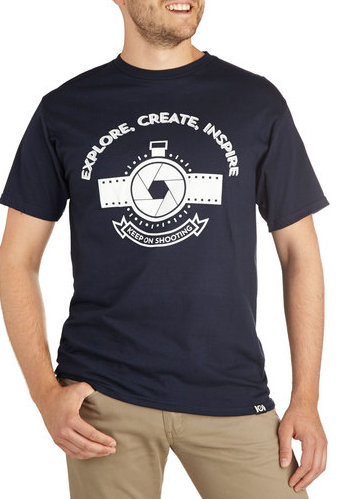 Although ModCloth is most commonly known a women’s shopping destination, they do carry a line-up of unisex and guy-specific clothing, like this fun shutterbug tee. A great pick to accompany a new lens or camera bag. 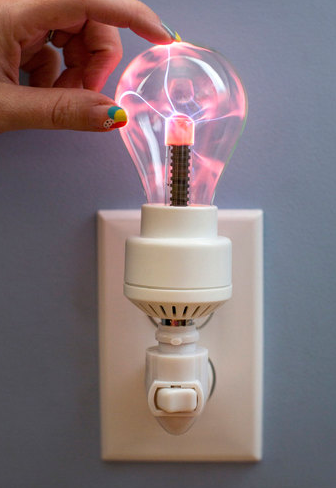 I love this funky night light because it reminds me of my childhood when these electromagnetic lights were all the rage. Touch it and and watch the light link up with your fingertips, plus, use it to guide your way for a midnight bathroom break. ModCloth’s whole thing is vintage-inspired (but never dated) clothing & accessories – with a healthy helping of quirky geek chic. They’ve got quite the collection of 20s pieces at the moment, including a fun range of costume jewelry like these hanging gems. 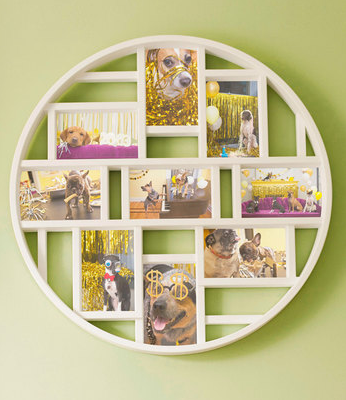 If you’re looking for a new way to display photos of your best friends, precious pet, or memorable event, this uniquely-shaped frame pulls double duty as a piece of art and a creative photo collage creator. Also available in black. When in doubt, go with a cardigan. This wardrobe (and ModCloth) staple comes in over two dozen colours and patterns, and layers wonderfully with your favourite winter party dress or office outfit. Stock up & watch her smile. 1) Visit ModCloth’s gift guide and leave a link back in the comments below to your favourite idea from any one of their gift guides. You’ve got till December 14th! 2) Entries are limited to one per person / per email address / per household (or more if you score bonus entries). A random draw will be conducted on or around December 15th to select the winners, who will have 48 hours to respond before another winner is chosen in their place. 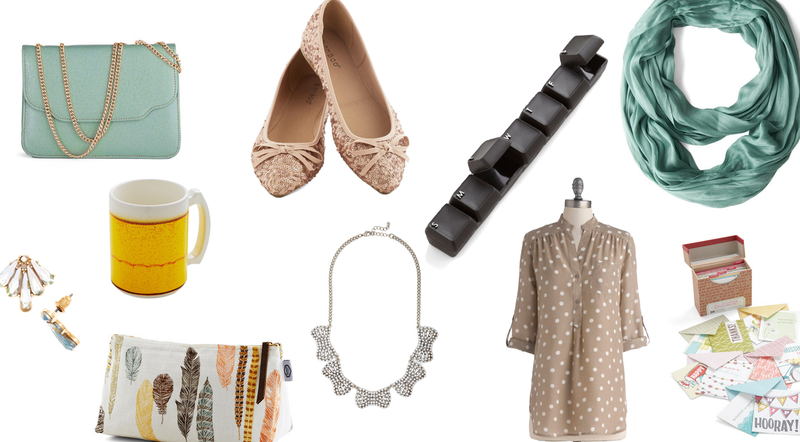 4) Bonus Entry: Like ModCloth on Facebook so you can stay in the loop on all their awesome sales and new items. Then, leave a comment about how much you adore their holiday gift ideas, and leave a link back to your comment (it can be done, Google it) to earn yourself a bonus entry. http://www.modcloth.com/shop/handbags/full-course-load-bag-in-matte-teal-14 This tote is what I would want under the Christmas tree! 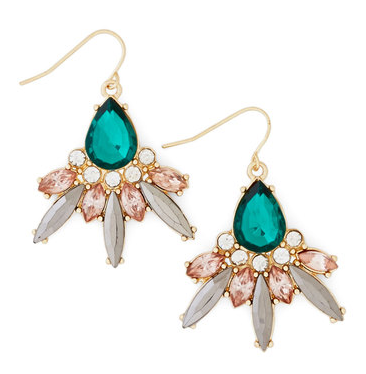 I totally pinned the Aqua one, but the matte teal is pretty cute! I would choose the Zebra wall cover for my granddaughter’s room. I think the Twice As Spiced Shaker Set would make a great gift to comic fans! I love the sink about it soap dispenser. This is my favourite idea: the interest coop keepsake board. Love it! I always find it hard to buy for gift exchanges or kris kringles during the holidays at low prices. Their “little prezzies” (http://www.modcloth.com/store/Modcloth/Gifts/Li+l+Prezzies#?sort=price%20asc&page=1) guide had some great ideas!! Also “liked” mod cloth on Facebook! Thanks for introducing me to this great site. Love This … so cute ! I like the Hand Crafted Candy Bars book (http://www.modcloth.com/shop/books/hand-crafted-candy-bars) – it would be perfect for my roommate. I love the Round Here Photo Frame! Very cool. I love the Wonders Never Cease Wonder Woman glass set! I alreday have them pinned! http://www.modcloth.com/shop/tabletop/wonders-never-cease-glass-set I love Mod Cloth cause they carry Folter dresses (they just don’t tell you they’re Folter) I never really thought about them having so many great gift ideas! I love this keepsake board from the Gifts for Clever Crafters guide. I love this dress. It’s so pretty. My favourite gift idea is the Wrist From a Rose Watch http://www.modcloth.com/shop/bracelets-watches/wrist-from-a-rose-watch from the Gals gift guide. The Doctor’s Orders Towel is perfect for a scifi fan on the beach! omg these pants are AMAZING. Too hard to choose one! My boyfriend is so hard to buy for but there are a few things on their website that I could see him liking. Simple but effective and needed! I love the Dorm and Cozy PJS! I liked Modcloth on FB and commentedl! I’ve always wanted one of these! So cute. I would love the Cozy Critter Scarf….. I always need more gloves. http://www.modcloth.com/shop/shoes-boots/fun-by-the-fire-slippers Fun by the fire slippers! I love the Gatsby Garb section! I want everything from it. If I had to choose ONE thing though, I’d probably pick the Luxe-y in Love Coat. I love these slippers.great gift idea..! http://www.modcloth.com/shop/lighting/enchanted-terrace-light The light is just adorable. I would keep this one for myself. My favourite idea is: http://www.modcloth.com/shop/wallets/feeling-define-wallet-in-brown. So cute for the book lover on your list. I like these shelves, but I think I could find hundreds of things I could not live without. Love this! Perfect for my bacon-loving friends! I love this night light http://www.modcloth.com/shop/lighting/watt-dreams-may-come-night-light?SSAID=864283&utm_medium=affiliate&utm_source=sas&utm_campaign=864283&utm_content=525249853&gate=false So cool!!!! !